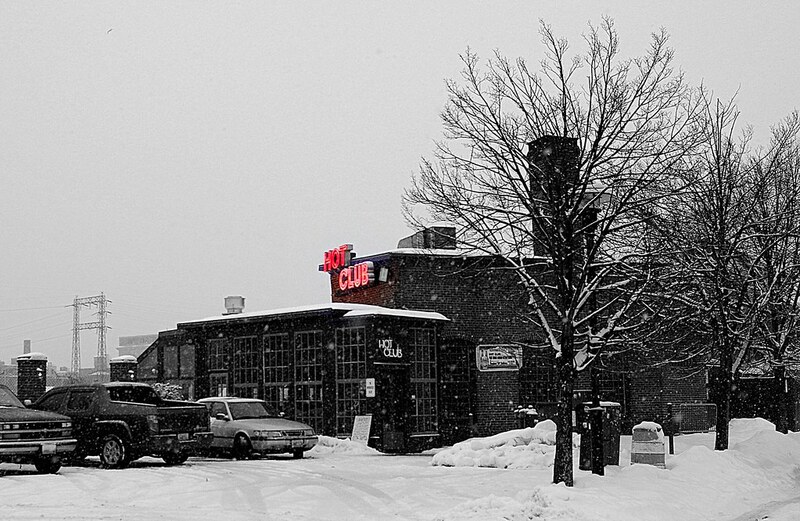 Love the name of the club with the snow and the red neon against the white. Clever catch and nicely photographed. Hot Club----Does that mean that there are babes there in various forms of (un)dress? even if there were, what are we gonna do about it ?? But the club's not hot enough - the snow around it is still frozen. Exactly. Neat shot, but it looks like a place that should be near a beach rather than in the snow. Just to make you feel better - we're going to get a taste of winter; tomorrow night we're predicted to hit 23F! Pretty chilly for our thin blood. Hey, this is a great narrative image! The stories I could write!! Love the irony and mood, love the details, like the empty bike stand and hydro tower. Wonderful catch! !